Oud, oud, wonderful oud. Love it or hate it, one simply cannot get away from the stuff and now that the perfume industry’s obsession with the mystical tree-rot has filtered down from the upper echelons of the super-niche to the mainstream, it would be safe to say that the note has become its own genre and style of perfume. As with all fragrance families, there are a 1001 ways to interpret ‘oud’ ranging from the velvety opulence of rose-oud blends (two materials that are as symbiotic as Samuel Beckett’s Vladimir & Estragon) to funky animalic blends and all that is in between. In short, the universe of oud is a vast, varying and prolific genre. 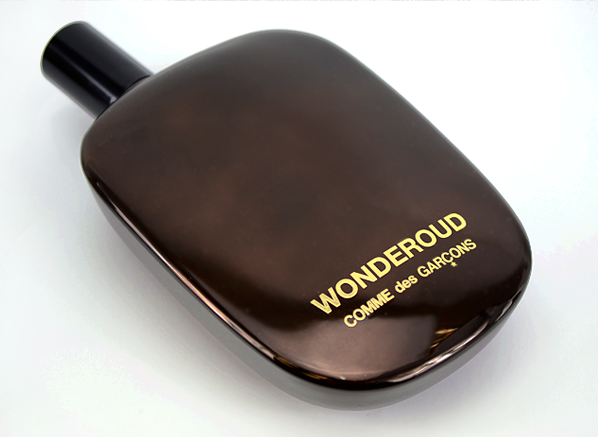 This summer, edgy fashion brand, Comme des Garçons, are launching their very own take on oud – the fancifully named ‘Wonderoud’. This particular take on oud is penned by master perfume Antoine Maisondieu (California Rêverie, Blue Santal and Fat Electrician) and shows an intensely woody side of the already-very-woody world of oud, celebrating the spicy and varying textures of this most ancient of resins. In the past, Comme des Garçons have brought us Wondrous Wood (Wonderwood) and Amazing Greenness (Amazingreen), both of which are milder than their names would suggest. Not ones for hyperbole, the brand appreciate the art of subtlety, even if the names of their fragrances lead one to believe otherwise, and Wonderoud continues the theme set by Wonderwood and Amazingreen before it – the art of fragrance approached with a slight of hand and an understated sense of delicacy. Wonderoud is intriguing, right from the outset. It opens with a sharp, but soft blend of wood and spice. The spiky quality of cedar wood is accented by a sprinkling of black pepper that, whilst adding a degree of liveliness, ultimately paints this fragrance in shades of dark grey. There’s also a hint of something animalic lurking beneath the top notes – a mere whiff of some aged leather and the hot breath of an animal – adding just a touch of musky air that filters slowly through all of that wood and spice. The wood softens even further as Wonderoud transitions into its heart. The effect is almost as if the fragrance is layered with strips of woods in varying shades and densities – as each is peeled away from the heartwood, the heft and texture of the fragrance subdues, resulting in a delicate core that is intertwined with the gently sweet note of rose. This rose revelation is the lightest of surprises, bringing a welcome hint of stealthy flowers and ensuring all of those robust woody notes don’t take over entirely. In the base, Wonderoud settles on a prickly heap of woods and patchouli. The pepper note resurfaces for an encore, merging with the earthy and almost-salty facets of vetiver to evoke the image of warm, sun-scorched grass amongst the woody debris of the Wonderoud tree. Subtlety and softness reign supreme, right until the very end and Wonderoud finishes much as it began, in a haze of wondrous woods. As far as ouds go, Wonderoud isn’t groundbreaking, but it is exceptionally well made. It avoids the obvious clichés of being either a barnyard in a bottle or an exotic drink of rose powder, and instead opts for a plethora of woods, in varying shades and textures, to create a fragrance of contrasts that are at once; dark and light, and smooth and sharp. 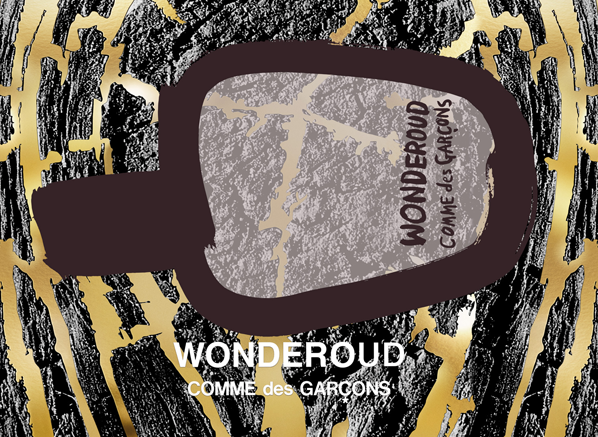 With fashion and fragrance, Comme des Garçons constantly push the envelope, but they do it in a subtle way without any fanfare or undue attention – they simply create excellent fragrances and Wonderoud is no exception. This entry was posted on Wednesday, July 30th, 2014 at 9:00 am and is filed under Candy Perfume Boy, Fragrance, Guest bloggers, Men, New products, Tried & Tested. You can follow any responses to this entry through the RSS 2.0 feed. You can skip to the end and leave a response. Pinging is currently not allowed.